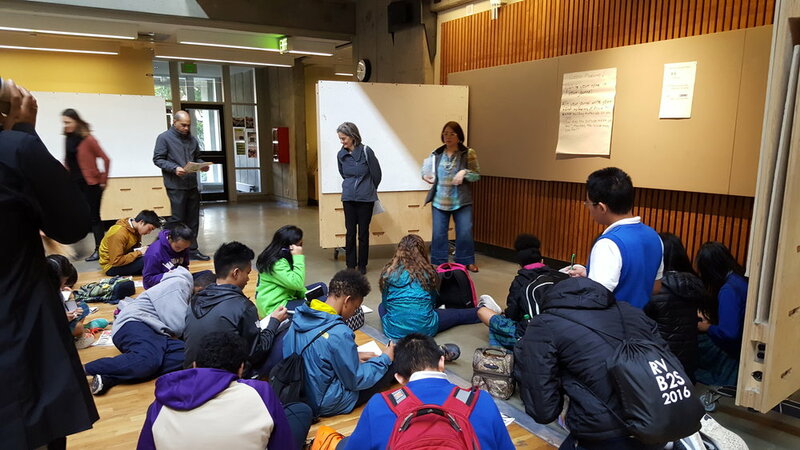 As volunteers in AIA Seattle’s Diversity Roundtable (DRT) Committee, we are about to embark on another adventure with our Architects in Schools program! As the 2017 - 2018 school year is now in full swing, we wanted to share a little bit about the program, the past work we’ve accomplished, and our exciting plans for the future. First, a little bit of background. The DRT’s Architects in Schools Program is designed to expose K-8 students of underrepresented communities to architecture, and engage them in the design process. The goal is to give the youth involved an understanding of design basics through hands-on experiences and discussions, while focusing on bringing awareness of the architectural profession to children of diverse racial backgrounds. This is in support of the DRT’s overarching mission; to enrich the architectural profession by nurturing future designers who have diverse experiences, skill sets, and perspectives. Such shifts will create innovative solutions and approaches, while supporting an inclusive environment within the architectural profession. Architects in Schools has been a part of the DRT’s agenda in the past, however last year, we rebooted the curriculum with a new pilot program at St. Edward’s Elementary School in Columbia City. DRT volunteers worked with 19 of the school’s eighth-grade students, all either female or minorities, through weekly one-hour lessons. The curriculum for the pilot was divided into quarterly groups of sessions, which introduced students to the profession, taught them the basics of the design process, and exposed them to architectural drawing techniques. The program ended with a final design project and public presentation, where the students learned SketchUp as a tool to express their designs. The broader strategy for last year was to develop the students’ creative problem-solving and computer skills, as well to help with their math and artistic development. 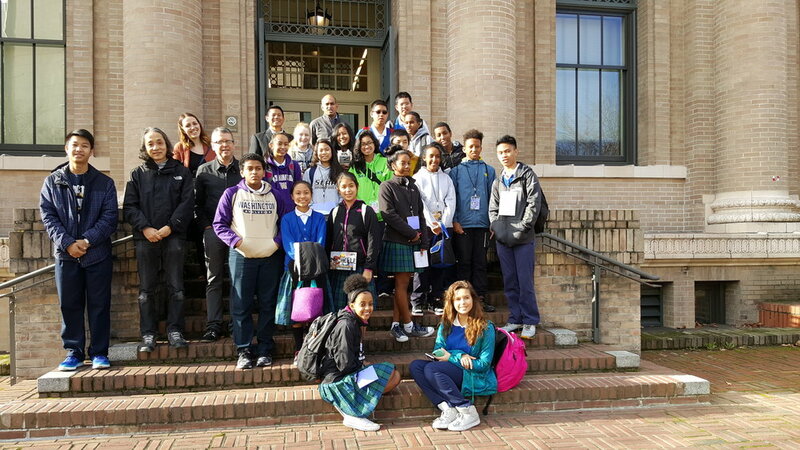 Sprinkled throughout our classroom sessions with the students, the University of Washington provided a guided tour of the Department of Architecture where students learned about the first steps toward becoming an architect. We also incorporated an office tour, where students heard about how a firm works, and were able to ask questions to get a sense of what it’s like to work in an architectural office. 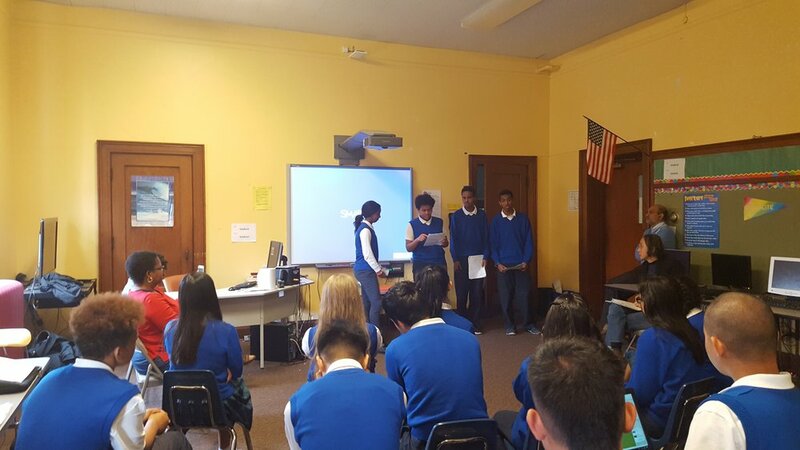 The first two sessions for this year’s Architects in Schools kicked off a couple weeks ago at St. Edward. We’re excited to have support through the K-8 Architecture & Design Education Grant from The Architects Foundation and Armstrong World Industries Foundation this year to be able to expand what our program can offer. We will also be shifting the curriculum focus from computer based design, to honing skills around scale, model building, and transforming 2D drawings into 3D physical forms. Looking towards the future, we are hoping to broaden our outreach to multiple schools within the next year or two. Stay tuned for more updates as we continue to grow and evolve our program!